This marvelous manifesto on radical self-love is life altering—required reading for anyone who struggles with body image. 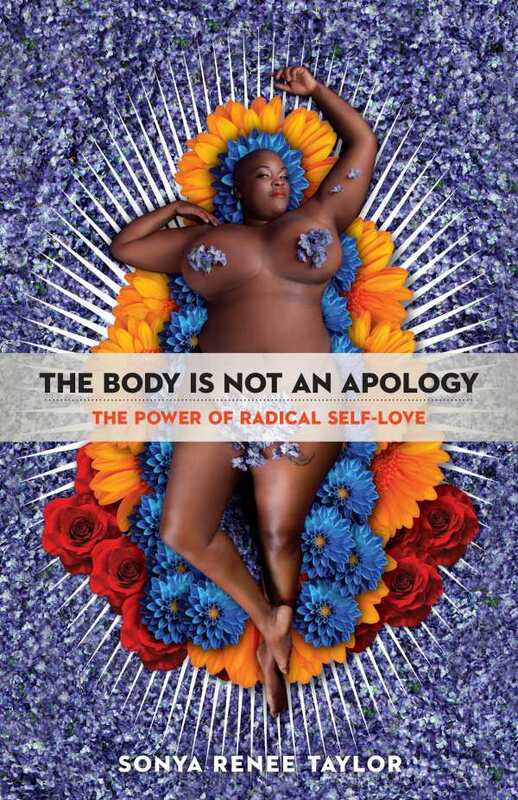 “Survival is damn hard,” Sonya Renee Taylor says in the introduction to her marvelous new book, The Body Is Not an Apology. A writer, poet, educator, and performer, Taylor brings the message that self-sacrifice and self-flagellation keep us from our highest good. Her manifesto on radical self-love is life altering—required reading for anyone who struggles with body image. Radical self-love—now a mainstream concept that manifests as a celebration of physical, sexual, and psychological diversity—is laid out clearly in The Body Is Not an Apology. Taylor asks the question: What could you do if you weren’t ashamed of yourself? Using personal stories, examples from other writers, and data, Taylor makes a compelling argument for dismantling “notions of body-based hierarchies.” The idea that one person is inherently better than another because of the way they look, function, or move oppresses everyone, Taylor says. By examining our identities and the way we relate to ourselves, we’re able to see what messages we’ve internalized. The negative ones, she says, have got to go if we’re going to grow. To accomplish this, Taylor offers a series of questions to explore the origins of shame and self-hatred, as well as a toolbox of techniques for addressing them in daily life. Throughout the book, “unapologetic inquiries” challenge deeply held beliefs about why you feel the way you do. “Radical reflections” condense each section’s message into a mantra or new perspective. The Body Is Not an Apology is, in many ways, a cap on Taylor’s previous work at the intersection of body positivity and social justice. The phrase came to her in 2010, following a conversation with a friend. She later founded a digital media and education company of the same name. Self-love is about global transformation—self-help on a much more ambitious scale. After all, social justice starts with the self. “I am a human being living in a world that still profits from body shame,” Taylor says. Still: we can change ourselves—and, in the process, alter the world.